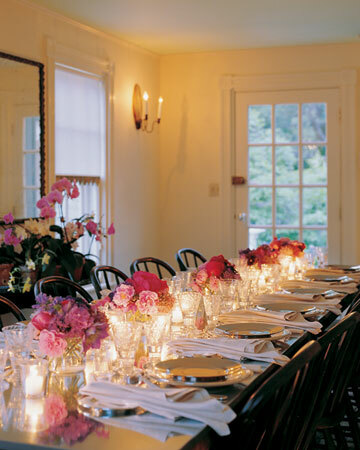 To any fan of Martha Stewart, the name "Turkey Hill" triggers instant recognition: damask setees on orange pine floors, gilded Federal style mirrors above a profusion of artfully arranged hydrangeas in crystal vases, warm, sunlit rooms that look over an expansive plot of happily-sown land. Turkey Hill was Martha's home between 1972 and 2003. More than this, it was the primary laboratory and idea-factory for her business and the muse for her creative and domestic vision. Few other homes in history have played such a significant role in the formation and development of a business. The Federal style home became a sort of "Graceland" to Martha's reading and viewing public over the years and functioned as the inspiration for many of Martha's books, magazines, television shows and products. The home sold to new owners for just over $4-million. Martha announced her departure from Westport in 2000 on somewhat bitter terms, leaving Turkey Hill unoccupied until her mother, Martha Kostyra, moved in a few years later. In a letter she wrote to the New York Times in 2000, Martha described how Westport had lost a lot of its charm and friendliness and noted that ongoing feuds with neighbors were getting her down. She wrote: "I've thought long and hard about the many changes in my life that have now forced me to seek home and comfort elsewhere. And I've concluded that they're not so odd, not so radical, not so personal – but certainly they are powerful enough to make me feel that I must leave, that I must go." At around the time the letter was written, Martha purchased a 153-acre farm estate in Katonah, New York, in the quaint and affluent community of Bedford, just north of New York City. 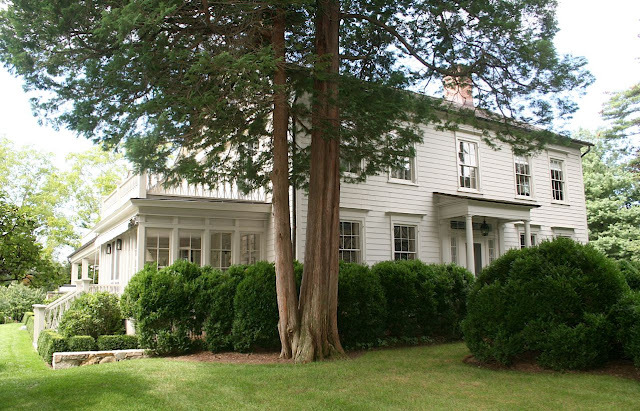 The home, known locally as Cantitoe Corners, would become Martha's next renovation project and featured a 1925 farmhouse, a 1770 Colonial house, an 1897 tenant's cottage and several other buildings – all of which were consigned for Martha's special brand of renewal and regeneration. 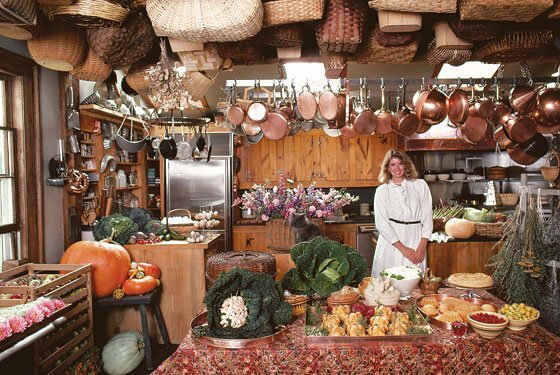 Martha in the kitchen she designed and built with her husband, Andy Stewart, in 1980. You can view the kitchen after its 1990s renovation below. Martha comes by this need to restore and beautify honestly. Ever since she first moved into Turkey Hill in 1972 with her then-husband, Andy Stewart, and their daughter, Alexis, its beautification was her singular aim. The couple paid only $81,000 for the house, which was in sad disrepair and a state of decay when they bought it. Built in 1805 by Captain Thorpe, an onion farmer and barge owner of some repute, the house sits on the highest hill in the Greens Farms neighborhood with spectacular views to the south. One can see Long Island Sound on a clear day. As part of Connecticut's 'Gold Coast' the area has become one of the most prestigious in the country, home to numerous celebrities, writers, artists and business moguls. But when Andy and Martha first glimpsed the property it was in shambles after 167 years of various owners and tenants. It had been rented for 50 years by the previous owners and very little had been done to preserve its historical integrity. Martha's sister Kathy describes going to visit Martha and Andy during the first few weeks after they had moved in: "We were going into this house thinking, 'My God, how are two people and a baby living in this chaos?' It was just a wreck of a house." There was no central heating, just a mish-mash collection of ruinous fireplaces scattered throughout the house. Faulty electricity and primitive plumbing (stone-filled, hand-dug wells) and two acres of overgrown and weedy land were just some of the obstacles that faced the Stewart homesteaders as they embarked on their restoration project. While various things had been added on to the house by the previous owners very little had been taken away, giving Martha a nearly clean slate upon which to plan the home's refurbishment; its bones were still intact. Martha and Andy spent countless hours, both indoors and out, scrubbing away the years of neglect. They replaced it with a personal and visionary style that would later come to embody Martha's visual underpinnings and design trademarks. Among her additions was a room at the back of the house (shown above) and a porch at the side, overlooking a new pool she installed and painted black to give it the look of a natural pond. She hired her brother George to convert the barn on the property into a party room for entertaining and to build a second edifice on the lot behind the house for a large industrial kitchen (for Martha's catering gigs) and guest rooms above. 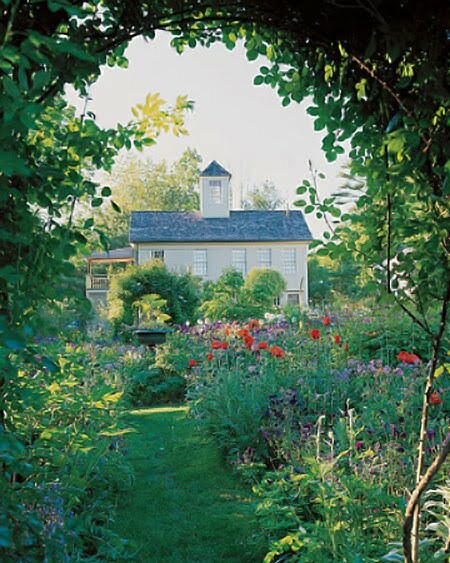 New gardens on the property included a luxuriant vegetable plot, several orchards (peaches, apples, pears and plums), a cutting garden, a formal herb garden and a shade garden. 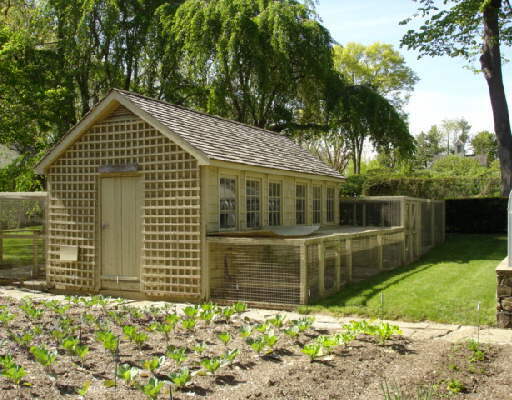 She resurrected the old chicken coop for her Araucana hens and rechristened it Le Palais des Poulets (Palace of the Chickens.) Martha and Andy later purchased an additional two acres adjacent to their property and doubled the size of the lot, bringing the total plot to four acres. The yard played host to numerous weddings and garden parties in the summer, while the home and its outbuildings became cozy places of refuge for an unending cycle of guests and visitors during the cold holiday season. As Martha's catering business became ever-more successful, she decided to write a book about one of her favorite topics: Entertaining. Using Turkey Hill as the backdrop, she filled the large, hardcover book with sumptuous photographs of food and settings that she and her staff had created. It would go on to become a bestseller and Martha began to use Turkey Hill and its captivating evolutions as tailwind for her ever expanding ventures as a caterer and author. Entertaining was one of many books to come by Martha that used Turkey Hill as the stage and platform from which to present her ideas on the domestic arts. Books on gardening, weddings, baking and Christmas all followed suit with Turkey Hill playing a prominent role in the books' photographs and text. 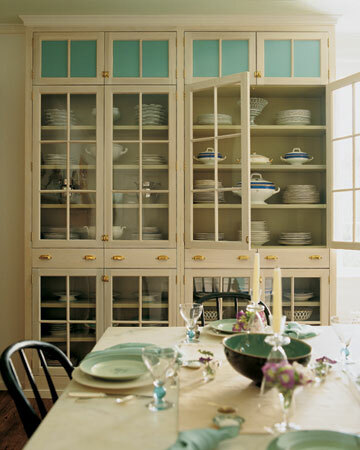 With the launch of her magazine (Martha Stewart Living) in 1990, Turkey Hill again played centerpiece to Martha's articles and photographs, becoming a laboratory for story development, craft ideas, gardening information and decorating advice. The house took on a new, celluloid energy when it was filmed for a number of videos about entertaining and cooking sold through Kmart. In 1993 it was featured weekly (and then daily) on Martha's new television show. 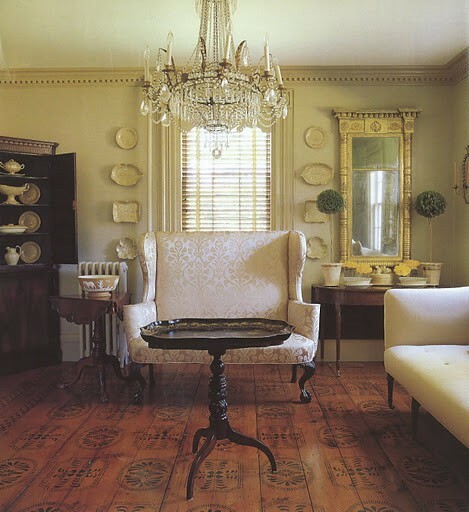 The house took on an almost mythological role as it became increasingly visible in all of Martha's offerings, including an entire line of furniture through Martha Stewart Signature and Bernhardt that is based on furniture housed at Turkey Hill. 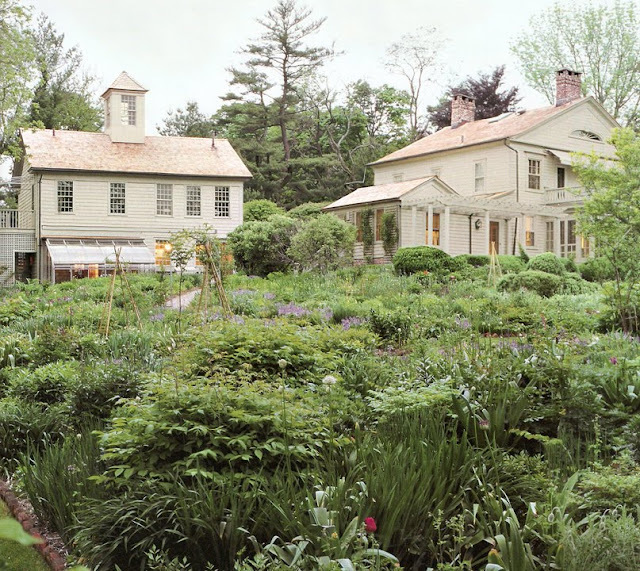 While the grounds saw enormous changes under Martha's care, little was done to the interior and exterior of the home since its initial renovation by Martha in the '70s. New collections of antiques were amassed but not always displayed. The attic and the bedrooms had unfortunately become, by Martha's own admission, little more than tasteful recepticles for many of her treasured finds and books. In 1998 Martha finally embarked on a massive redecorating project and brought it all up to date, removing shutters from the windows, covering a useless window in the dining room to allow more wall space for art display, redoing the kitchen from top to bottom, reupholstering all the furniture, repainting the entire house, replacing the old floors with new pumpkin pine, creating new built-in shelves in the library, converting the back hall into a second library and reorganizing the entire house to free it of clutter and pare down her collections. With only three bedrooms and a basic layout of four rooms over four, the size of the main house is somewhat modest compared to some of the other homes in the area. But its legacy and its history and its impact on the lives of Martha's readers and viewers is indelible. Turkey Hill will forever be remembered as Martha's most famous house, as the house that started it all. The back porch was frequently used for entertaining small groups. 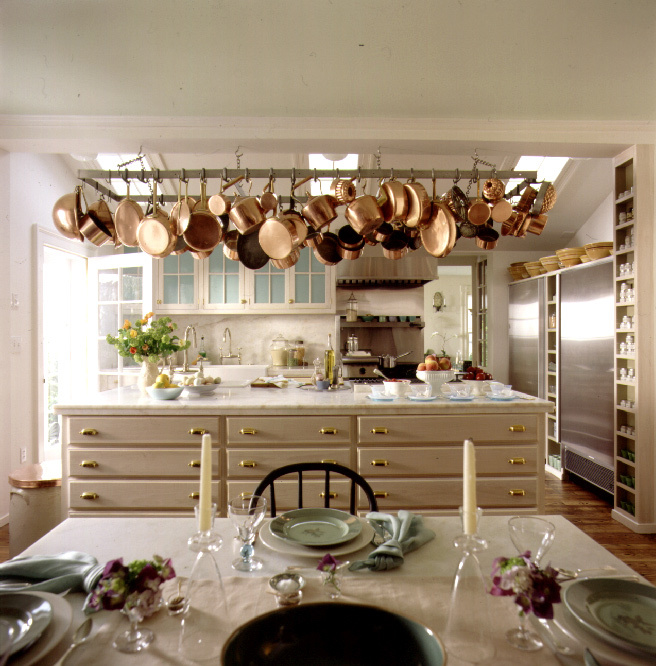 The kitchen after it was renovated in the 1990s - quite a change from the rustic style of the kitchen as it appeared in the 1980s, shown above. The dining area in the kitchen. 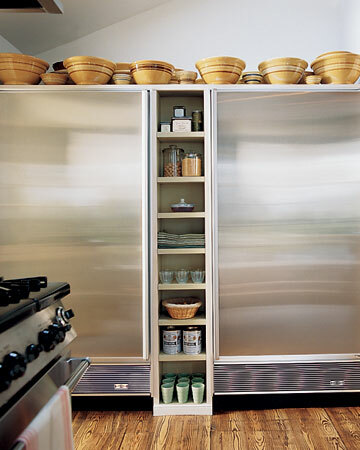 Two large, industrial-sized refrigerators held all the necessities. Andrew, thanks for adding some additional photos of Turkey Hill. The one of the "old" kitchen is a hoot! It's hard to imagine that was considered stylish, but I'm old enough to remember when that brand of "country" decor was popular. In fact, that ktichen was the first cover of Country Living magazine. Maybe Martha cringes a little when she looks back on it - her taste has evolved so much since then, and become much more refined, elegant, and even austere. I also prefer when the exterior of Turkey Hill was painted white, instead of that muddy-looking putty color. The white really stood out against the lush green garden. Yes, that old kitchen was something: all those wicker baskets hanging from the ceiling. Talk about a dust magnet! I think Turkey Hill reached its most beautiful prime around 1998/99, right after the big 'reno' she did. The gardens were also spectacular and mature. I've posted on here many times of my love and fascination with all of Martha's homes. However, Turkey Hill will always remain my favorite. I don't think you can get Comcast On Demand in Canada, but having Martha in various segments this entire year has been fabulous! One segment that's about 6 or 7 min. long (and that's my only criticism - the segments are too short! )features a look back at Turkey Hill Farm, from its humble beginings, to the iconic showplace that Martha worked so hard to create. There were photos I had never seen before, and it made me realize all over again what a visionary she was,how creative, and how she did everything so well! She narrates the segment herself, and spoke about how she and her then-husband had done much of the work and rennovations themselves. 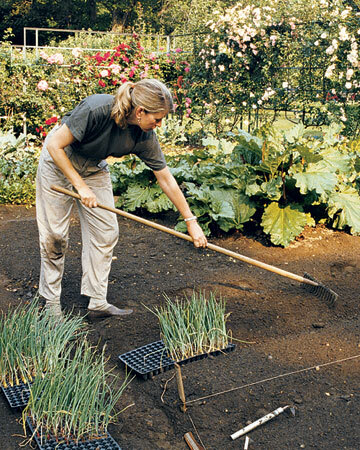 Her gardens were unbelieveable, in both their beauty and their utility (she mentions how she used the French model of intensive gardening to get the most out of a limited amout of space). Turkey Hill was just so asthetically pleasing - the landscape, architecture, use of land,etc. all came together to make a truly magical place. And while her new Bedford farm is impressive, its vastness and scope is not intimate enough for me. It doesn't seem like a real home, but rather a business, which in a way, it is. It doesn't please me much to see hundreds of one type of flower species, and when I look at the gardens there, surrounded by fencing, and neatly ansd squarely laid out, I can't help but think of a very large landscape nursery. I think that's a mistake on Martha's part - her viewers and fans aren't so interested in life on a large compound,where she has a legion of servants, cooks,gardeners, and the constant presence of MSLO staff, etc. 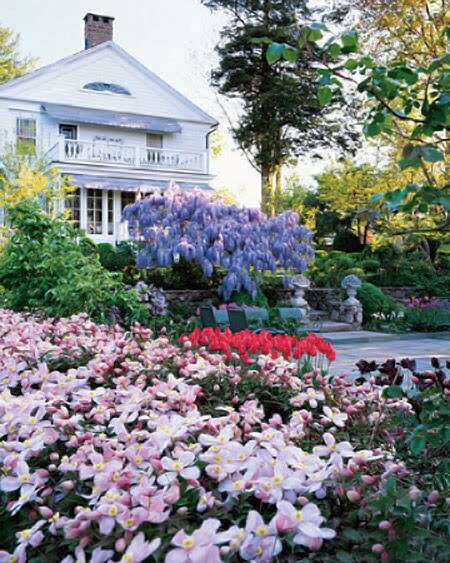 Instead, they loved to see her stroll along her narrow gravel paths with her cutting basket over her arm, and her dogs and cats at her feet as she snipped and inspected various plants and shrubs, all the while relaying intimate anecdotes. Bedford feels like an impersonal extension of her studio, and not a real home. Just my 2 cents! 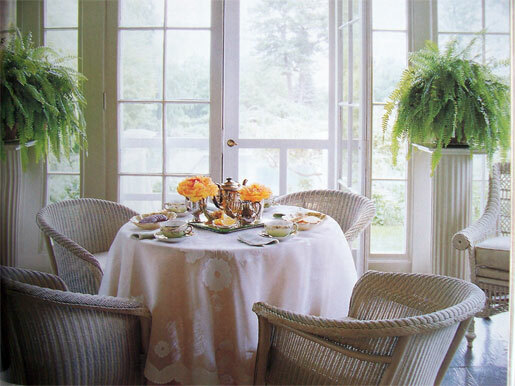 What is the story on the ring backed chairs featured on the cover of the first cover shot for Entertaining?? Dear Anonymous--I can see how the Bedford farm may seem less personal and more like a business compound. But I think that Martha just needed a bigger laboratory where she could continue to pursue domestic perfection on an even larger scale! They will both be museums someday I'm sure.